ECTmmo.com- MMO Blog: The Adventures of Kaozz...: October! October, one of my favorite months! The air starts to get that crisp feeling, fall decorations, Halloween... and tons of fun things to do in my favorite MMO games. I love spooky stuff, spooky events, things to collect, it is something I look forward to every year in many games. 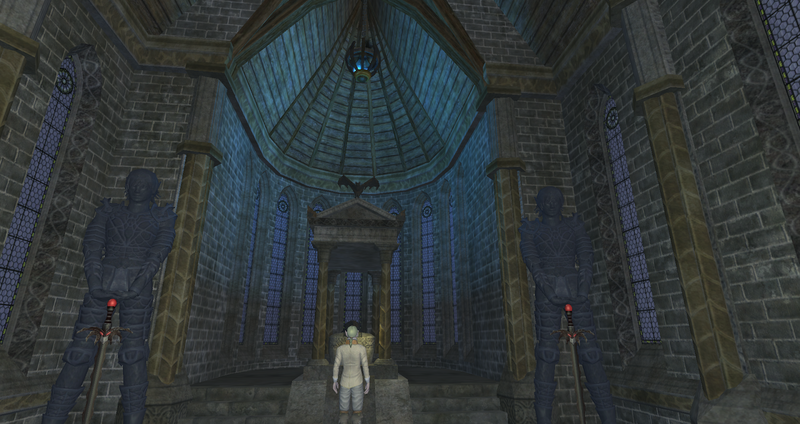 Though really nothing has even started yet, except on Test server in EQ2. I recently started up there. I had a very low level character there, but now you can create a free 100 adventure and 100 TS class character there without having to purchase it. It IS still the test server, which I have always thought it very cool to be able to play on one regularly. In EQ especially there were always perks or bonuses. I simply rolled up a class I already have a level 100 of, and jumped right into doing whatever. Whatever happened to be Halloween content, which has been marvelous. I've reported some bugs, hopefully explaining them clearly enough. EverQuest 2 has the best Halloween stuff in any game, there is so much to do, so much to collect. I keep saying the same thing each year and it gets better with each year. This year is no exception. 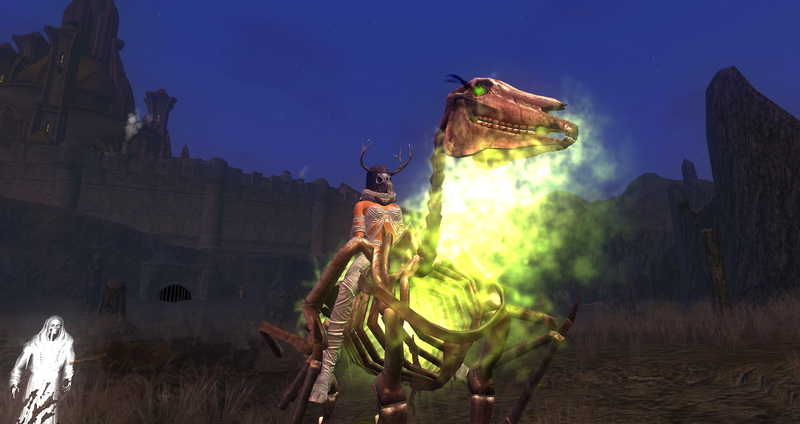 EQ2 has an expansion coming our way, as well as EQ, towards the end of the year. I think pre-orders open up this month. I'm very happy to hear that each one will gain an expansion this year. I own all expansions for each game, I pick them up as they release. In EQ though, I have played very little of recent content. EQ2 I sort of lost my steam not finishing up this recent expansion, looks like I will need to get on the ball soon. My WoW account lapsed last week and I figure I will take a week or two off and then go back and level. I'm still not 120, my highest is only 115. I enjoy the new expansion, I've just been a bit distracted. Hopefully later on this month or I will at least try to log in for the Headless Horseman! 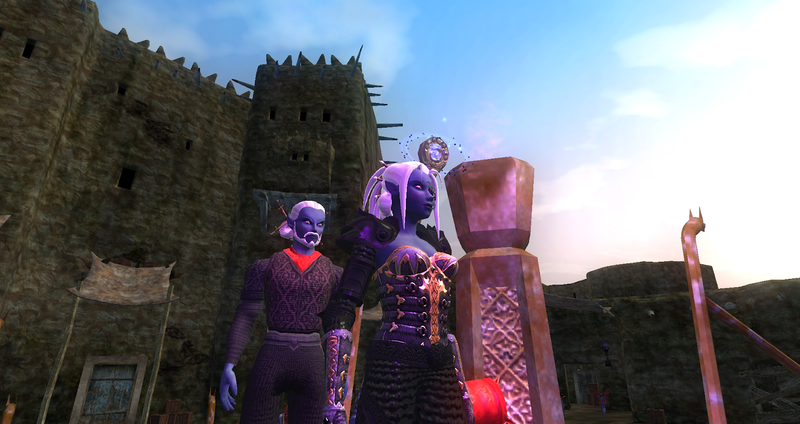 Mostly though I have been putzing about in EQ2, it still gets regular updates and expansions, much like WoW even if they are on a smaller scale, the attention to detail I appreciate enough to stay subbed most the time. Add in the other games included in the sub and it makes it a big bang for your buck. I claimed my 500 station cash this month for two merc crates and actually got one of those really rare ones! I think I will be hopping from test to the normal servers I'm sure, I like playing on both. In my next post, hopefully in the next few days I plan to write about the Maple Story 2 Head Start! I can't wait to check it out. It is a game my son and I have been waiting ages to play! It looks fun, cute and engaging. Similar to Trove in some aspects. I can't wait to see fall/ Halloween content start rolling out. I never participated in AoC fall event type stuff and was considering doing so if anything pops up this year. Last year I did Secret World Legends stuff, which was really great to try out. For now I am off to actually log into MS2 for the first time!